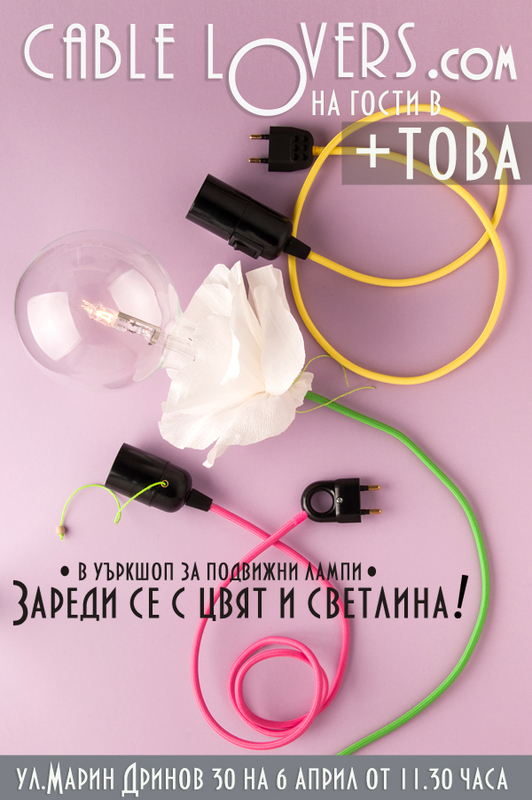 Trend challenge for your lighting! We love nothing more than a cool colors and clean line and how about you? The year just started and it is a good moment to introduce the new arrivals going around in our web boutique. 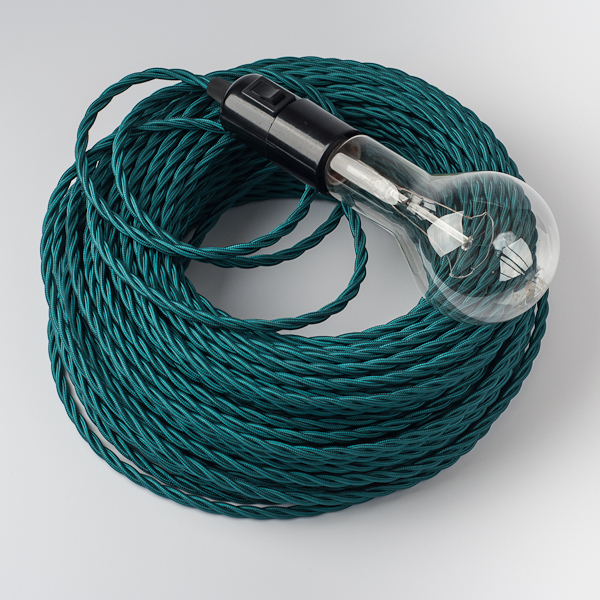 We just added the promised new colors and patterns in textile cable category and there's also a bunch of new great accessories - a breath of fresh air to expand your lighting creativity. 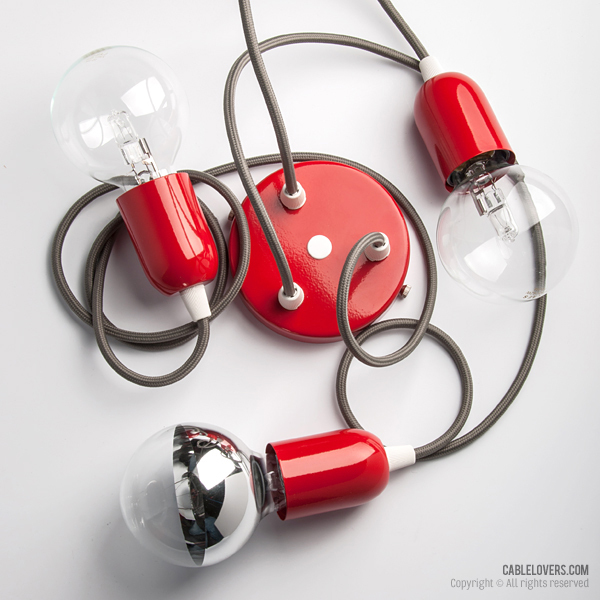 Vintage Bulbs For Vintage Lovers! 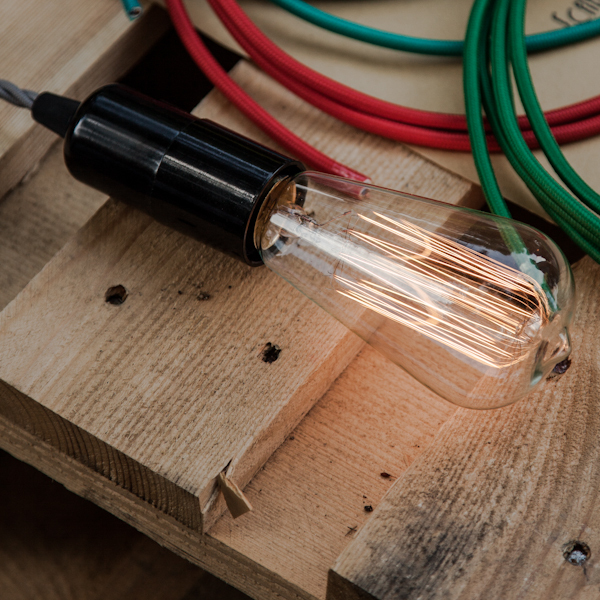 All we need is a little more warm glow touch in a cold winter's day, so here they are - The new incredible nostalgic filament light bulbs for your upcoming lighting projects and to kick up your Holiday mood. To all vintage lovers - coming right at you! 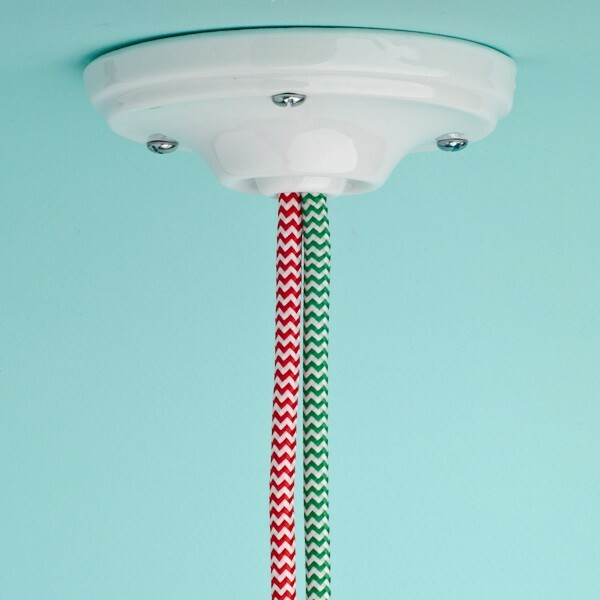 A quick note about forthcoming colorful Christmas surprises - very soon we will add more colors in the textile cables category along with some new fittings. Revisit our shop for some fresh inspiration! 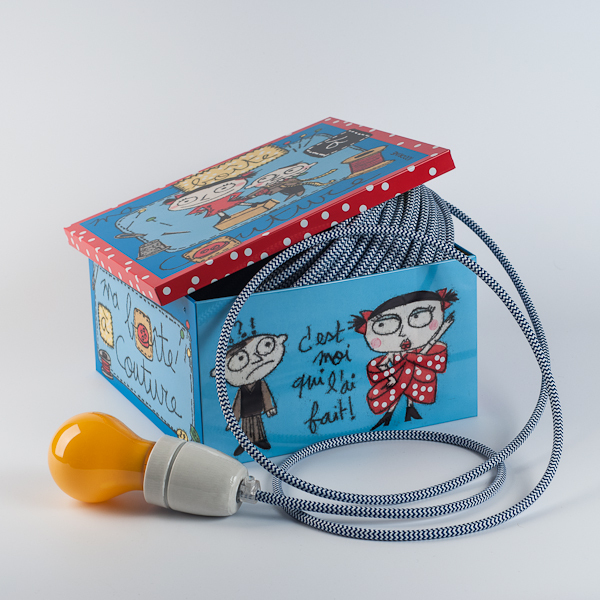 Now we are excited to introduce the new beautiful representatives in our textile cable category. You are welcome to see them! 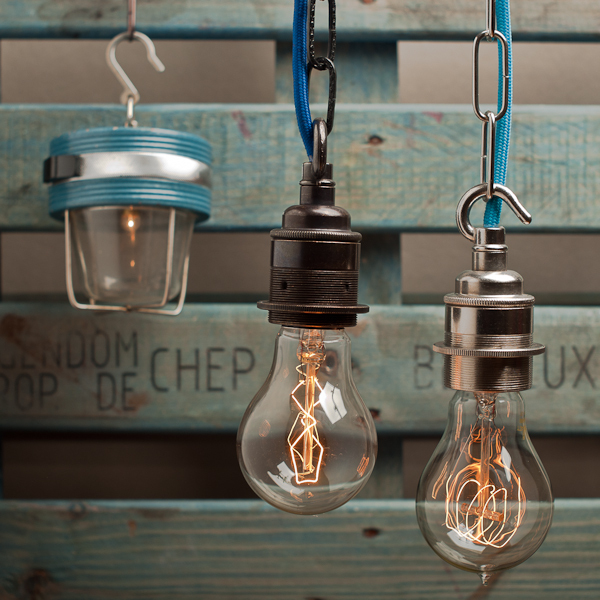 New light bulbs for summer moods! 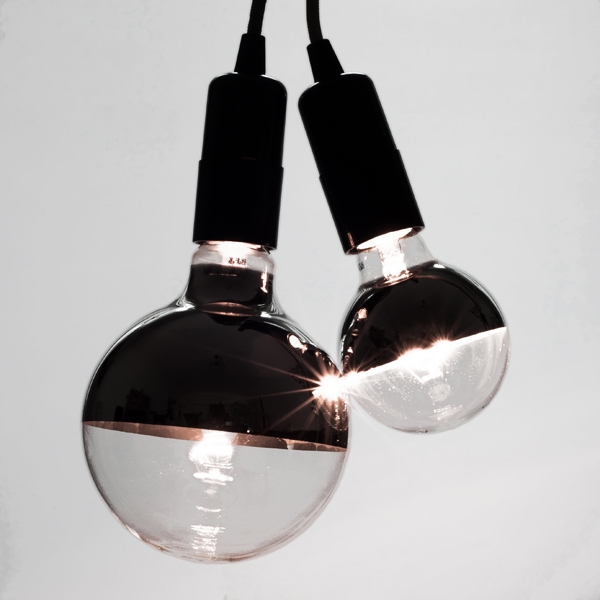 We are happy to announce our new glowing arrivals - from cool modern touch to warm vintage feel. 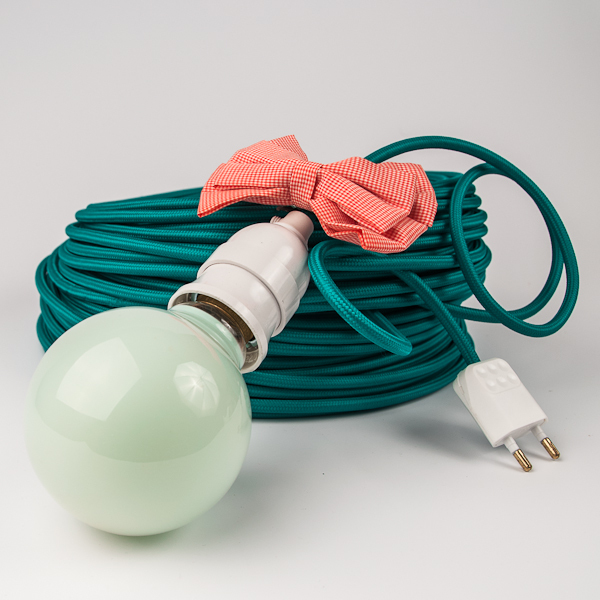 Our bulbs section has been refreshed with a small G80 representatives of the big charming G125 globes. 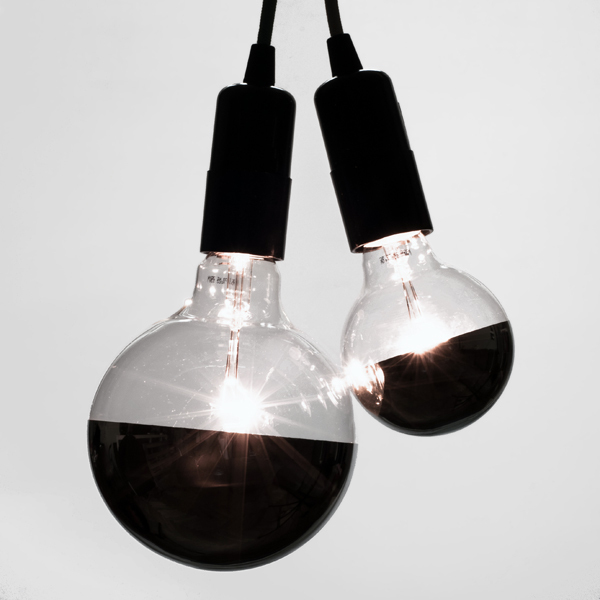 There you can find the little ones G80 Eco halogen and its chromed friends with a top and bottom mirror surface. From now on you can choose the best size for your needs and to make a interesting combinations between them. 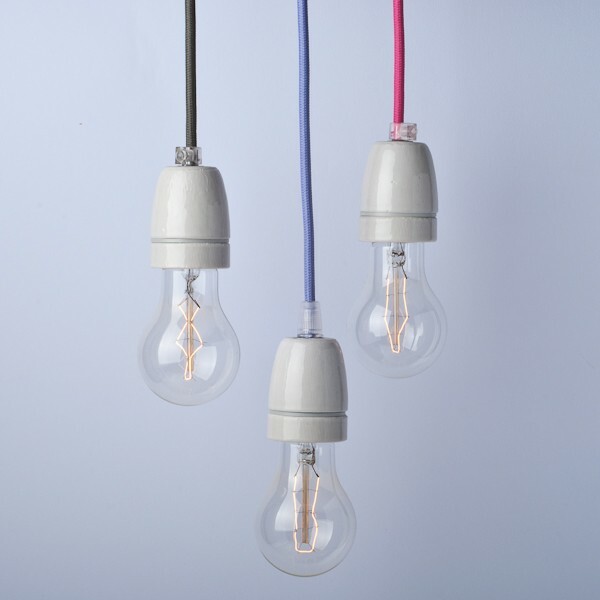 It will be a shame to not mention the Deco Bulbs section, which is refreshed too! 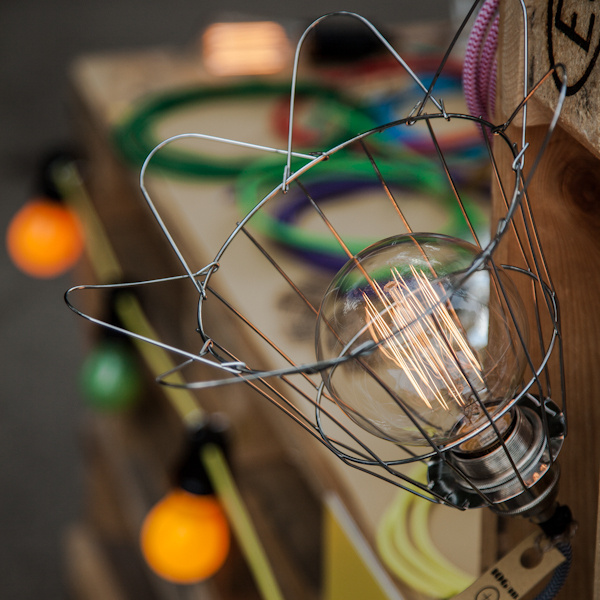 We have added a stunning G95 globe vintage filament light bulb and new Squirrel cage representative, both warm, romantic and cool to the eye! New Textile Cables on a board! 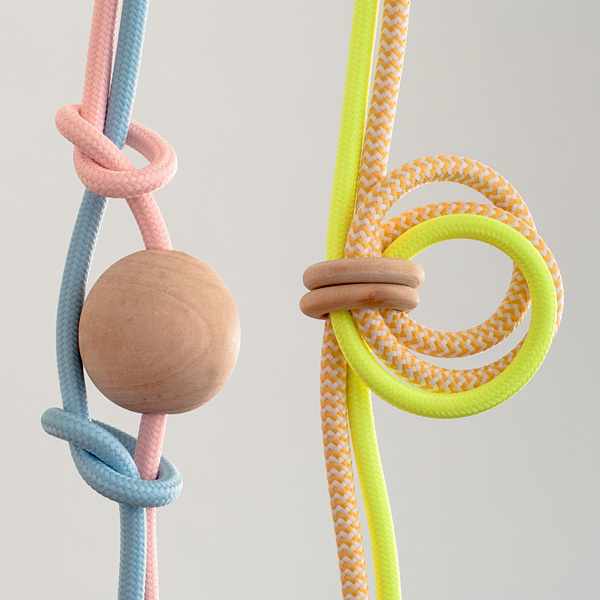 On Monday we introducing you our new representatives in category Textile Cables. All these five “heroes” are now available for order, and that is not all - our category Accessories has some new light fittings and plugs, are you curious to see them?! Our short summary is done, you are ON! 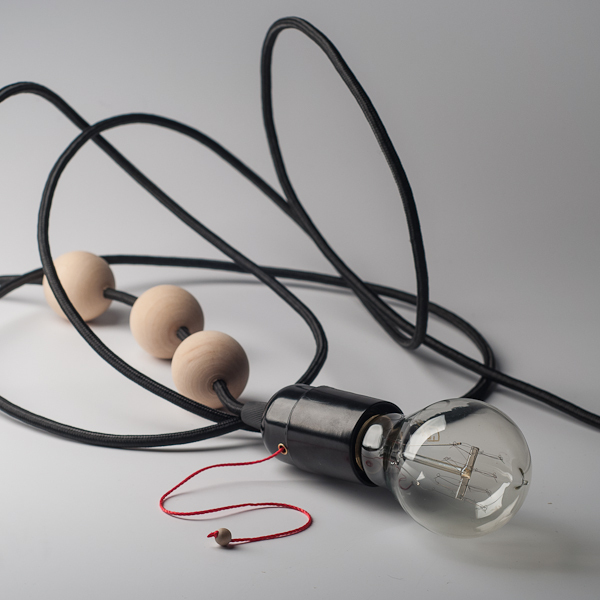 Workshop for mobile lamps is coming! For all the information and to sign up for this workshop, please go to the official announcement in Facebook here! We are starting the New Year with a bang! 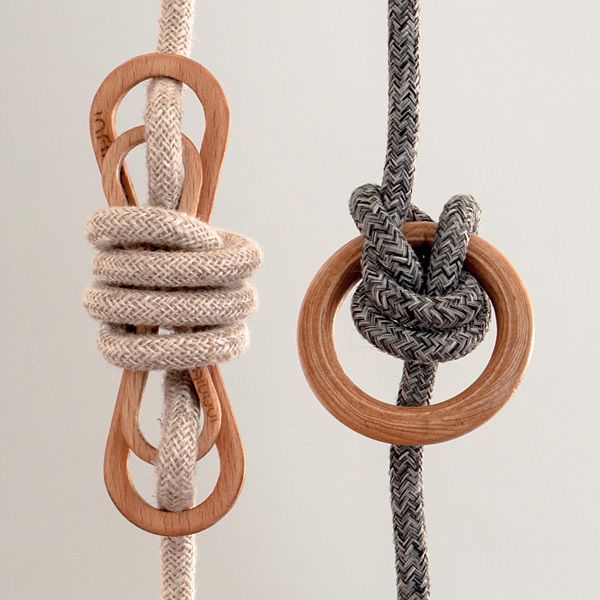 Our web section is filled with a brand new line of accessories. 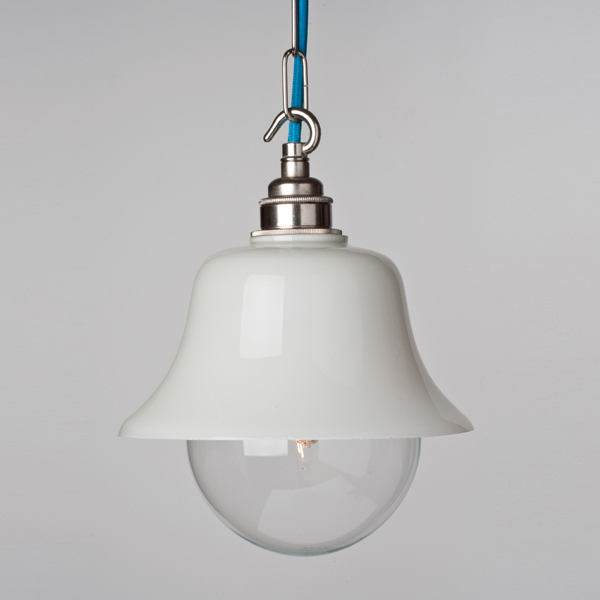 Many various new brass lampholders and ceiling roses are sitting proudly in our web shop. 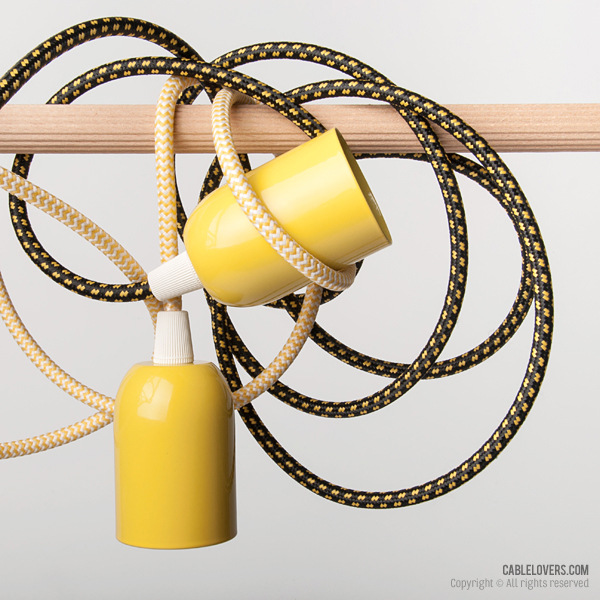 The various new types of accessories are giving some new options for vintage – industrial style. 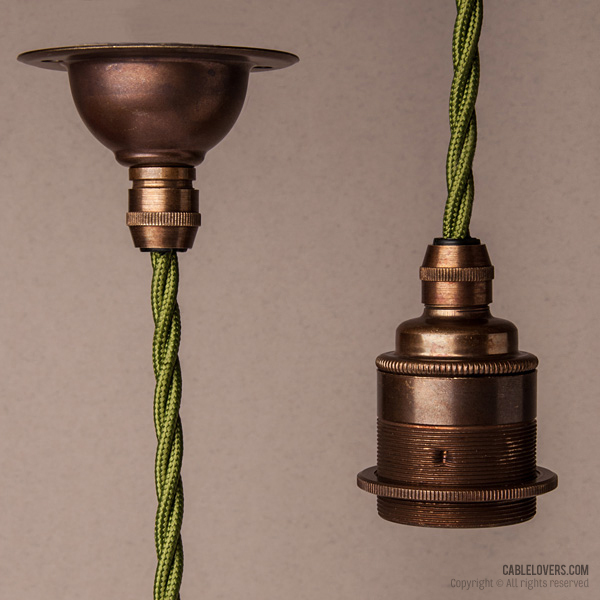 They look solid and are available in three different finishings - antique brass, bronze and nickel. In this category we have added also three new big ceiling roses in classic black, white and nickel finish. Browse our site to see them! Have a good and successful year! Good News on Monday starter! This morning we "woke up" our shop with three new products! 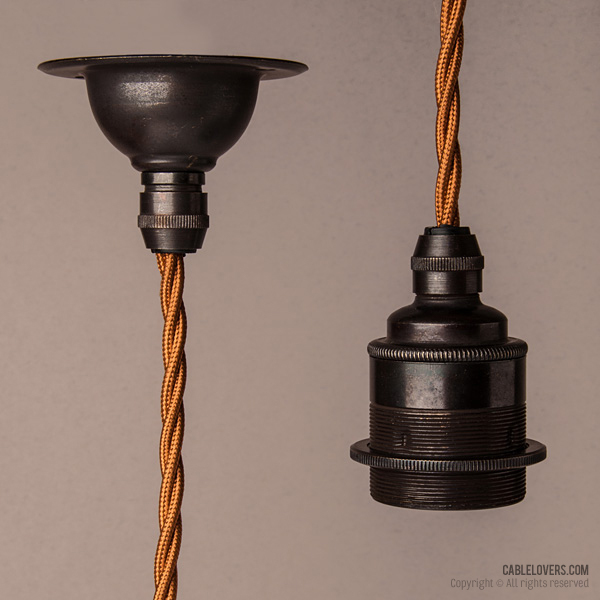 Two new porcelain accessories are available - Fine porcelain ceiling rose and a new Smooth porcelain lampholder and for them not to be alone we have added one more surprise in our gorgeous Deco Bulbs - a Decorative Rustic light bulb. Check our boutique frequently, more surprises will be coming soon! 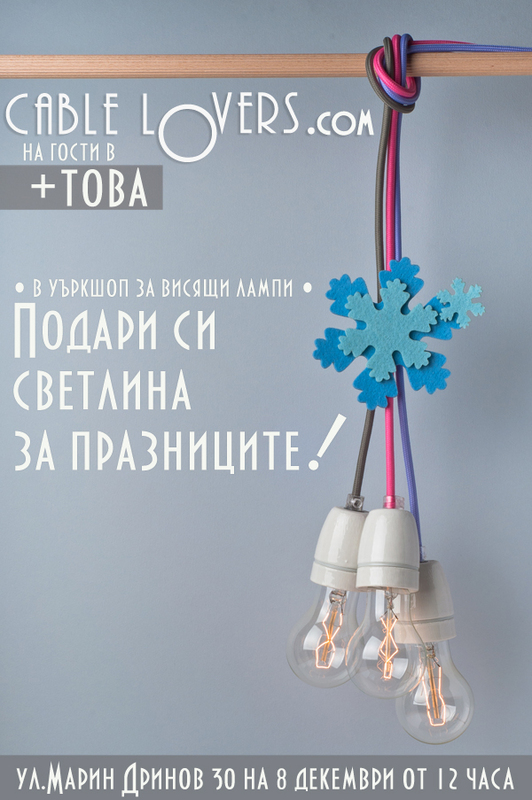 Our second Workshop for hanging lamps! For all the information and to sign up for this workshop, please go to the official announcement in Facebook here!. 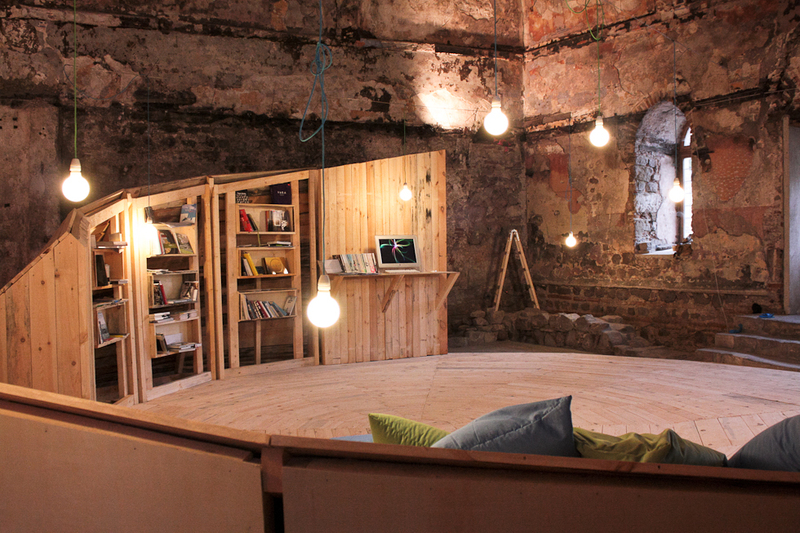 ﻿The architectural installation created by studio 8 1/2 represents a |CON|Temporary library containing solely books of contemporary art. 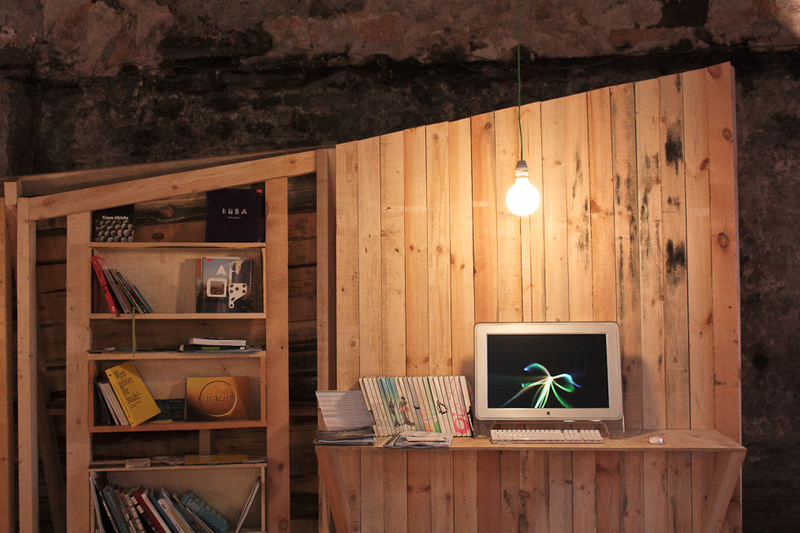 It provides lots of comfortable places to sit/ lay, bookcases, magazines and newspapers’ shelves, as well as a computer with very rich and detailed multimedia and video archive of contemporary artists. 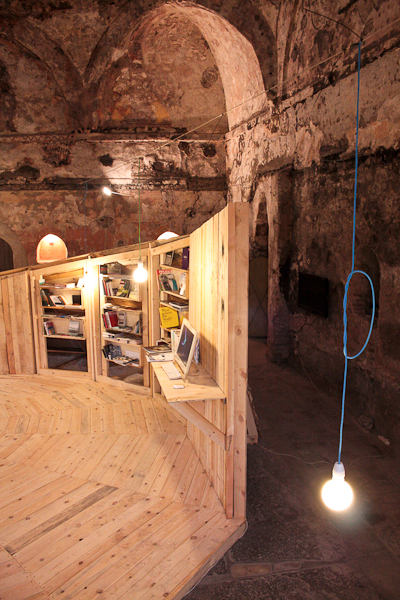 "Art Today" Association invited studio 8 1/2 to design and construct a temporary library in the main hall of the ancient bath. 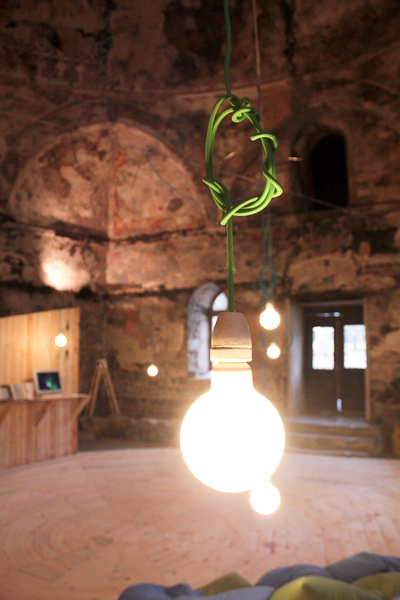 The installation is located at the largest and main room of the abandoned since decades old Turkish bath - Plovdiv, Bulgaria. 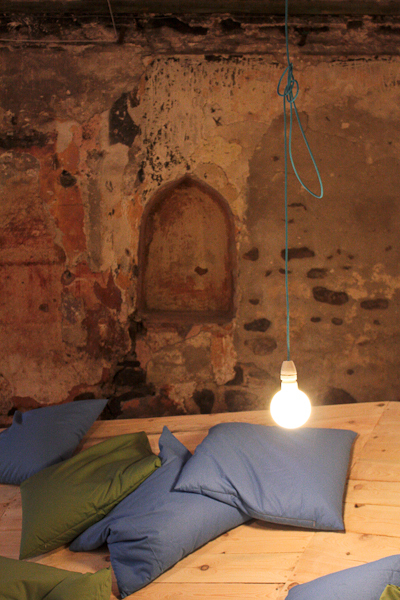 The colors used for the the cables and pillows - blue and green were specified as part of the logo of the festival for contemporary art "Urban Dreams", part of which was the construction of the new library. 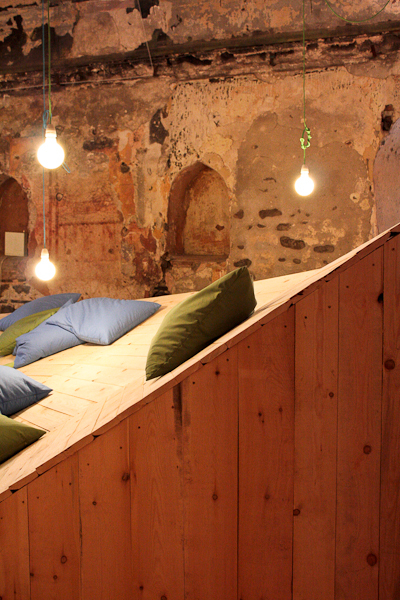 The entire installation is created with a tremendous respect for its surrounding area, since without it, this effect would not be as strong. 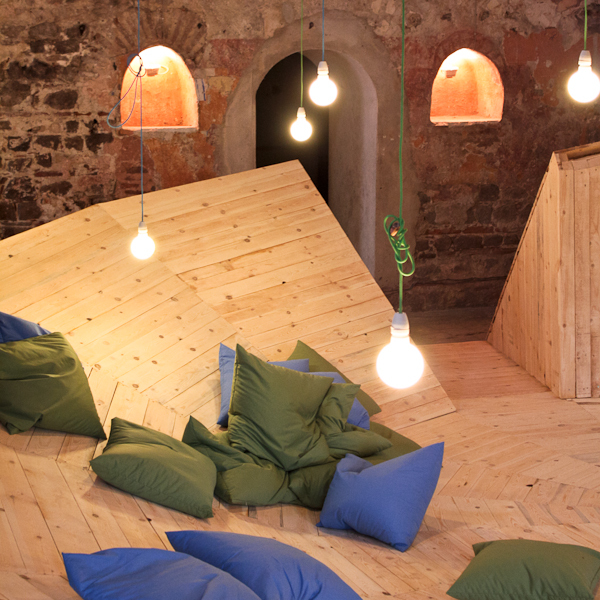 We are happy that our color textile cables are part of this piece of modern art! P.S. 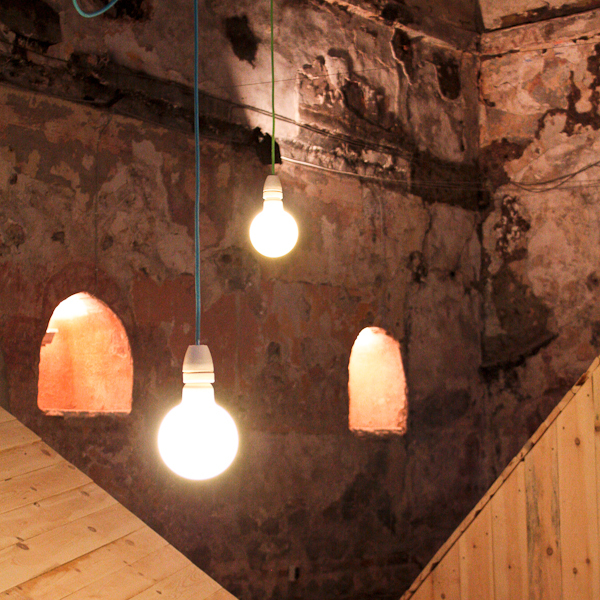 Many thanks to Vladislav from Studio 8 ½ for the great photos and for the info!